Looking for a Diet that works? Designed to work for everyone! Men and women of all ages! Learn about the Medical Difference! The OWL Diet provides you with a plan! Are you ready for success? 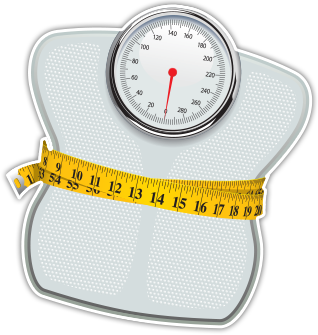 How many pounds will you lose? The OWL Diet™ is a Low Calorie Diet of approximately 800 calories per day, combined with mild to moderate exercise and the use of one or more prescription medications to help you achieve your weight loss goal. OWL stands for “Omaha Weight Loss” since Omaha Nebraska USA is the birthplace of this highly effective weight loss plan. The OWL Diet was developed by Dr. Carter Abbott, a family physician, who needed to lose weight. The diet worked for him, and his wife too. And they have learned how to keep their weight off permanently! 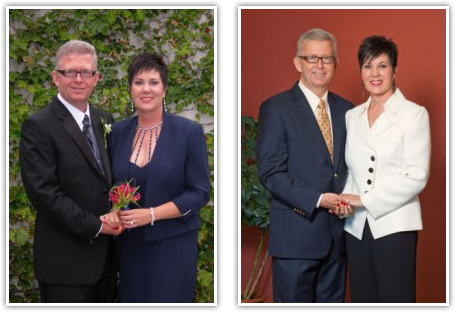 The pictures show Dr. Abbott and his wife Lenore – before and after they lost over 40 pounds between the two of them! 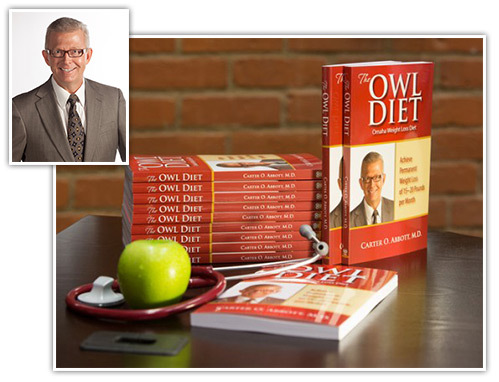 Over the last 8 years, Dr Abbott has enrolled over 3,000 people in The OWL Diet plan! How to lose weight by eating from a large variety of healthful foods, including lean meats, fruits & vegetables, bread products and more! An Easy to Follow Plan -That Works! What makes The OWL Diet plan a “medical weight loss plan”? While on The OWL Diet you will select, from a long list of approved foods, the ones that you like! We then show you how to put them together to form 3 meals and 3 snacks per day. We do not sell protein powders, shakes, bars or packaged foods. We do teach you how to eat healthfully to lose weight and keep it off. You will choose from a large variety of meats such as beef, chicken, turkey, white fish, salmon, shrimp, crab and scallops. You may also choose a vegan option using egg whites, tofu and beans. You will also select from a huge variety of vegetables, some of which you will combine with lettuce greens to make a fulfilling salad. We even tell you how to select the right salad dressings! Some vegetables will also be cooked, to be eaten with your meat selections to create real meals. For snacks you may choose items such as fruit and yogurt. We even have a couple of free foods! Even a calorie reduced diet should allow for bread or carbs! The Owl Diet allows you to make a sandwich or even popcorn!